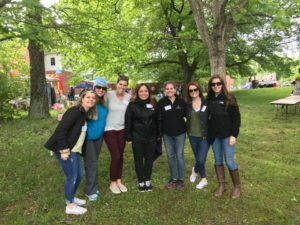 The Junior League of Annapolis, Inc. (JLA) participates in Done in a Day (DIAD) projects throughout the league year. These projects are part of JLA’s ongoing commitment to make a difference in the community and must align to JLA’s vision of narrowing the achievement gap with a specific focus on the self-sufficiency of women and children. JLA’s DIAD Committee works with community partners to plan short-term projects for non-profit organizations throughout the Anne Arundel County community. Over the years and even within the League year, DIAD projects vary in nature, but the intent remains consistent: to generate positive change in our community. Some of these projects are done in a day, such as a Rebuilding Together blitz while others are designed to provide short-term support of a specific program. 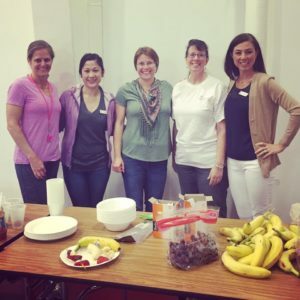 Regardless, JLA members are required to commit to only one day of service at a time. During the 2016-2017 League year, the DIAD Committee has presented several projects. JLA women created emergency bags for foster care children for The Backpacks of Love, in partnership with the Blue Ribbon Project. JLA also partnered with The Lighthouse Bistro restaurant to create permanent supportive housing by decorating and furnishing two apartments for Bistro employees, who are former residents of the Lighthouse Shelter. Additionally, JLA members mentored, coached, and ran with girls participating in the Girls on the Run program. 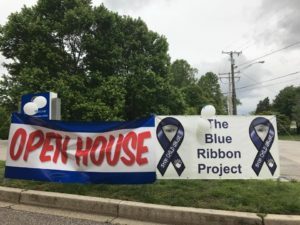 Other projects included support to Habitat for Humanity, Chrysalis House, Albert Adams Academy, several Anne Arundel County elementary schools, and the Anne Arundel Medical Center. JLA is currently collaborating with Box of Rain Kids in the Kitchen (KITK) workshop. This partnership is made possible by generous food donations from Whole Foods Market Annapolis. The DIAD Committee still has a few more projects coming up during the remainder of the League year. The committee is always open to new ideas and suggestions, especially in planning for the upcoming League year. Please feel free to reach out to the DIAD Committee at DIAD@jlannapolis.org.